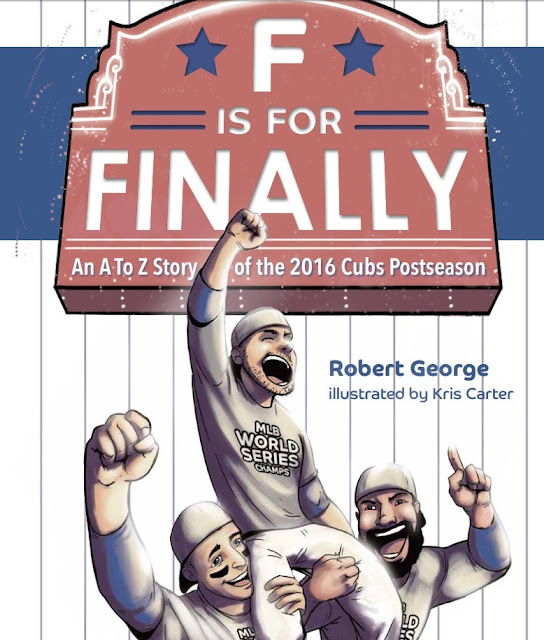 "F" Is For Finally: An A To Z Story Of The 2016 Cubs Postseason by local author Robert George voices the love and elation fans experienced as the Cubs broke their "curse" and triumphed during the 2016 postseason. Children will enjoy learning the alphabet while simultaneously learning about the winning team. The delightful rhythm keeps children and adults alike reading in anticipation just like fans watching games during the postseason. 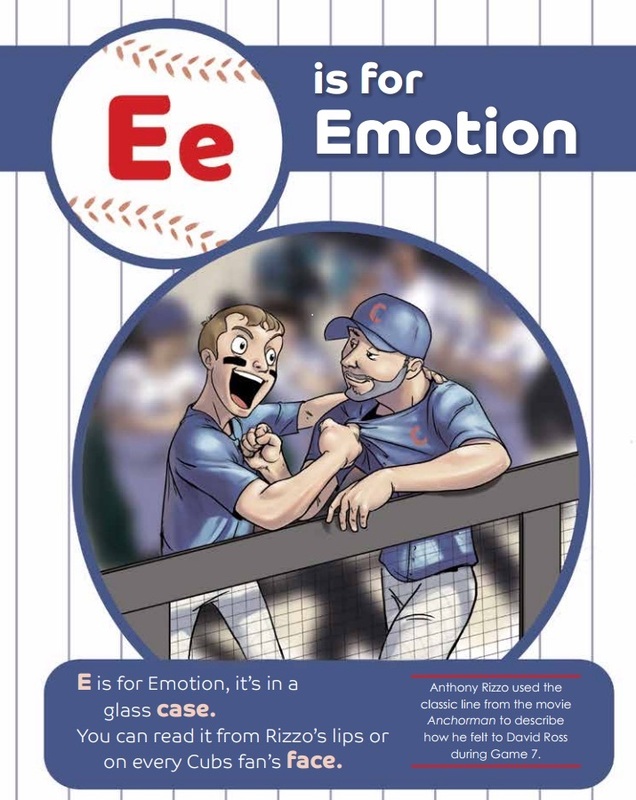 In the book, "E" is for emotion and, yes, the book does pick up the emotion of fans and players alike. I am pretty impressed by how adeptly George was able to infuse emotions into this book. The book accurately picks up on the emotions of fans and players alike during various moments of the postseason. Threaded throughout the book are facts about the Cubs and the 2016 season. Of course, one of the most famous traditions is the origins of the Billy Goat Curse. 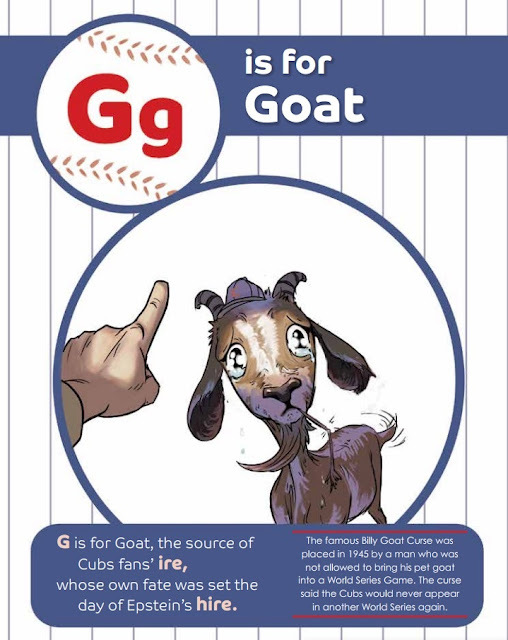 The book also recollects other Cubs lore alongside facts and stats from the 2016 postseason. 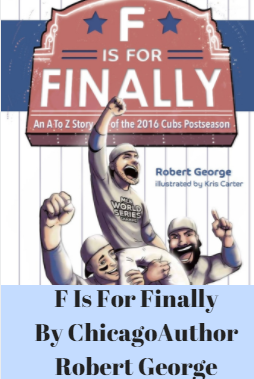 "F" Is For Finally's foreword resonates with many Chicagoans and Cubs fans throughout. I could not help but smile as I read George's nod to all of the fans both here and those that have passed. Generations of fans have waited faithfully throughout 108 years for the Cubs to win a World Series after being a powerhouse winning 8 championships 1876-1908. The incredibly heartfelt foreword speaks to many and adds to the sentimentality of the book. Overall, a very nice book to add to your child's collection! 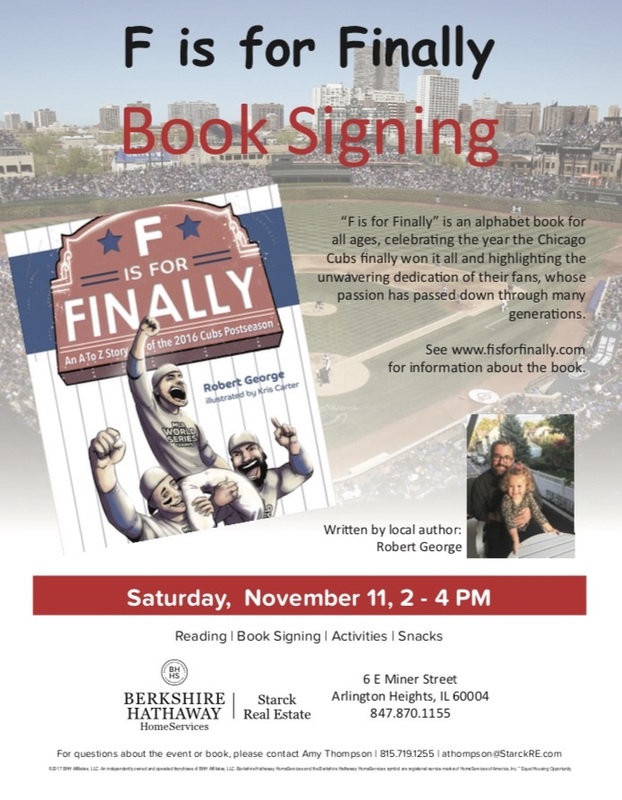 For my local readers in the Chicago area, Robert George will be having a book signing event at Starck Real Estate in Arlington Heights November 11 2PM-4PM! The event will include not only an opportunity to meet the author but also fun activities! Sounds like a fun afternoon excursion and an easy way to pick up some great gifts for the kiddos and the holidays. Fun way to learn about the book, meet an author and even pick up some copies! Ordering "F" Is For Finally is easy. Just head over to https://fisforfinally.com/ Now is the time to think about the holidays or maybe even just a surprise! **Disclosure: This is a sponsored post. All opinions are 100% my own.